. It's nice to look back at past seasons and see those players who may no longer play in the league. 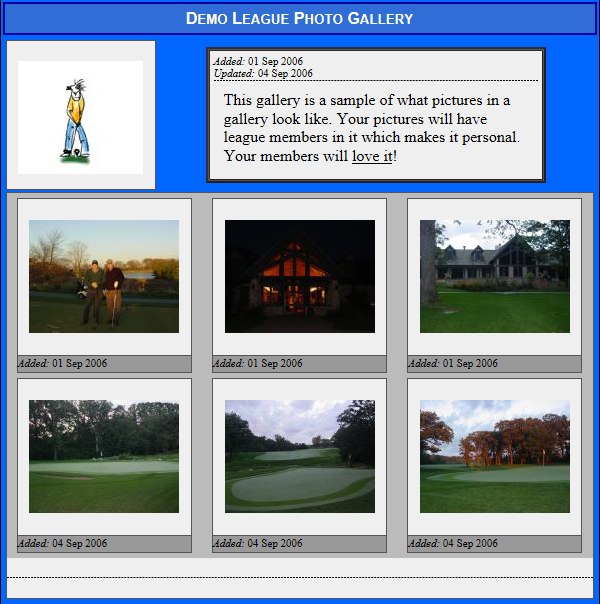 Golfers of all ages seem to like photo galleries, the real trick is to get someone who likes to actually take the pictures!